When it comes to exterminator services from Eastern NC to Tidewater, VA, the pest control experts from Terminix® have been helping homeowners and businesses alike battle bugs and eliminate pests for over 80 years. 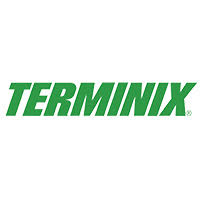 We are a franchise of Terminix® International, the world's largest pest control company. We are proud of the fact that our franchise has been managed by three generations of the same family. We have more than 600 employees dedicated to serving the pest control and related service needs of our customers. Every day across the state and across the country, people rely on Terminix® as the pest control company that gets the job done on time, every time. Each exterminator we employ is a highly-skilled technician who is trained to not only eliminate bugs, but keep them from coming back. We know the best ways to stop and prevent ants, termites, bed bugs, mosquitoes and other pests from damaging your biggest assets—your family, your home, or your business. And we back our work up with a 100% guarantee. The Terminex technicians are on time, or if they are going to be late, they call to let me know. They do a wonderful job and always let me know about other free inspections that are part of their service. We’ve used Terminex for over 20 years and have always had wonderful technicians and most importantly NO BUGS!!! Excellent customer service and great experience. I’m very pleased with the service! Good work and communication. Thanks. I LOVE EVERYTHING ABOUT TERIMINIX.. NEVER HAD ANY BAD THING HAPPEN. GUYS VERY KNOWLEDGEABLE. THANKS ALOT. Awesome service! they got the job done. Technician was really friendly, asked about my concerns, and was done in a reasonable time!! One of the webs/spud device is not completed, in the front it is uncomplete. The web/spud is to little. It won't fix in the space outside. It was very cold outside but that didn't stop our guy! Then he came inside and consulted on the mouse situation! Great service!!! Chris Haney is very good at his job. Courteous and professional. I would refer this terminix technician to my neighbors and friends. Prompt service on time & professional. Outstanding service, I’ve been overseas for over 5 years. Every month I received an report about the treatment of my property in NC. Very dependable and professional service. Expect the best from their service. thank you.....Zinita. Very pleased with services and price. always on time. very courteous. answers any and all questions. We have Terminix service at our house and I am very pleased with their friendly and knowledgeable staff. They are on top of any issues you have and will make multiple trips to take care of those issues without charging you every time they come to your home. I’d recommend their services to anyone. I am very happy with Mr. Ziegler who comes to spray my house and yard. He is a very nice person. So far service is great. Willing to work with you on appt. Cheaper than what would have paid with homepest defense. 😁. Good service; good technicians. Keep up the great work. I have been doing business with Terminix for years. I have only been here for 6 months but at the residence I was at before I had been there for 10 years. Terminix has never disappointed always on time always efficient and always always polite. It has been a pleasure. Moved here from Northern Illinois. Needless to say the Southeast has way more destructive bugs - Terminix was highly recommended and so far I am completely satisfied. Keep up the good work. Thank you! Appointment to treat and prevent was very timely. Great company with excellent service I highly recommend them. I like To know that all is well whith the house. Great job covered all areas very respectful and courteous. No more roaches. What more needs to be said? Two years with another exterminator never saw a reduction in roach activity. Quit them. Didn't accomplish much more treating on my own. After one visit from Terminix, gone. We have no more roach activity in the house. We've been through three seasons with Terminix and still no activity. They did a thorough investigation on the first visit, identified the hot spots, identified the exact type of roach, then treated accordingly. Relief! Very friendly and always helpful. We have not seen any more bugs inside our home since the respray. Shane the service tech was very professional and a true subject matter expert. Due to his expertise, I signed as a new customer for both termite & pest control for my home. Outstanding customer service. Everyone is comes to my door is so friendly and educated on everything I ask them. They are always quick and speedy and keep me updated, we've seen a drastic reduction in our pest problem and it has made living in our home much better! This young woman who is our service tech is the best one we have ever had. The technicians are very thorough. Great customer service caring and helpful. The people are friendly and kind and respectful. That means a lot.